Thank you Mario! But our democracy is in another castle! 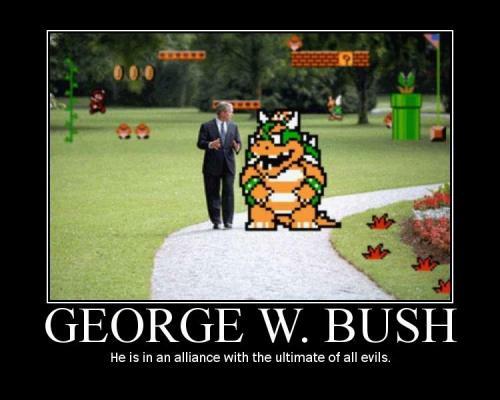 Clearly, the creator of this picture has never heard of the All-Powerful Wart! Why does Bush always has his hands in thast position?